Doctor of internal medicine at Yosemite Clinic. Dr. Yang Yang obtained Doctor of Medicine from the School of Medicine of Tohoku University in Japan. 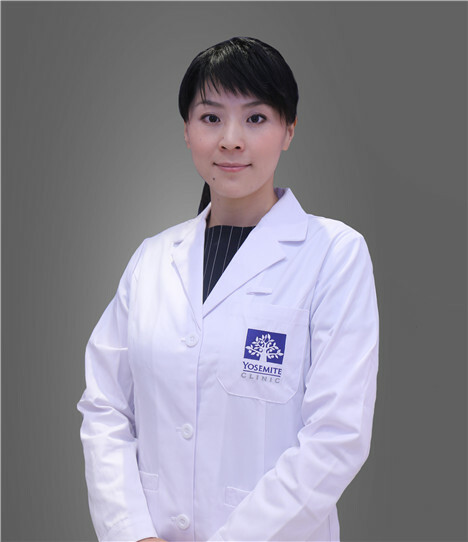 Dr. Yang holds both Chinese and Japanese qualifications of practicing medicine as well as specialized qualificiation of Japanese Society of Pathology. She received extensive trainings from the Pathology Department of Harvard University affiliated Brigham and Women's Hospital, the Pathology Department of Komagome Hospital, as known as Tokyo Metropolitan Cancer and Infectious Diseases Center, and the Center of Epidemiology and Statistics of St Luke's International Hospital. Dr. Yang had 10 years of working experience at the Internal Medicine Department and the Pathology Department of the well-known St Luke's International Hospital in Japan. She is members of Japanese Society of Internal Medicine, Japanese Medical Association of General Health Examination, Japanese Sociaty of Pathology, Japanese Socity of Clinical Cytology and Japanese Socity of Breast Cancer. She published multiple academic articles in the magazine of the Japanese Society of Pathology. Specialized in Endocrinotherapy and Internal Medicine of Mammary Gland, especially breast cancer.